How to create and use a RefWorks account. In a world of e-research, there are more data sources available than ever, which means researchers need highly efficient ways to manage vast amounts of information easily. 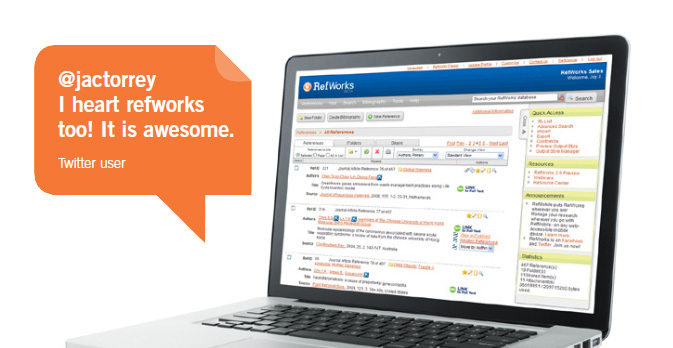 RefWorks is a powerful online research management, writing and collaboration tool designed to help researchers at all levels easily gather, organize, store and share all types of information and to instantly generate citations and bibliographies. We also offer a series of brief video tutorials on our RefWorks YouTube channel.